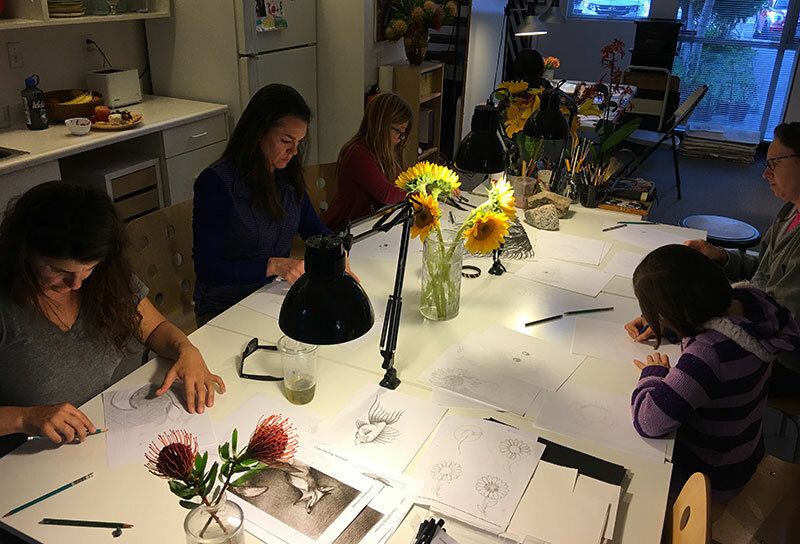 As a drawing coach, one of my greatest thrills is seeing students smile as they revel in pure, honest sketching from life. 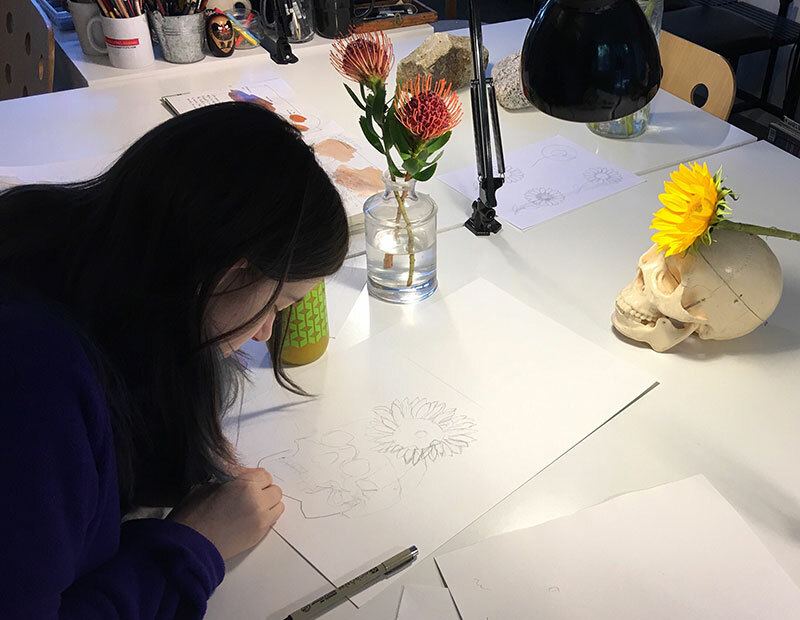 I enjoy nudging each student to the next level of exploration and discovery in finding their own confident, natural way to draw. 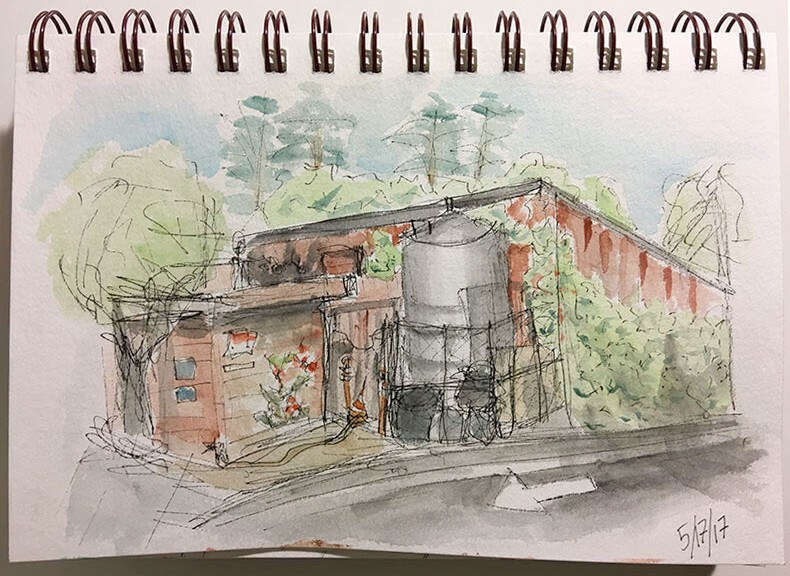 After nearly a year of studies in core skills, Fiona confidently stepped out the studio door to do her very first real-life urban sketch of a nearby winery facility, shown in the above pic. 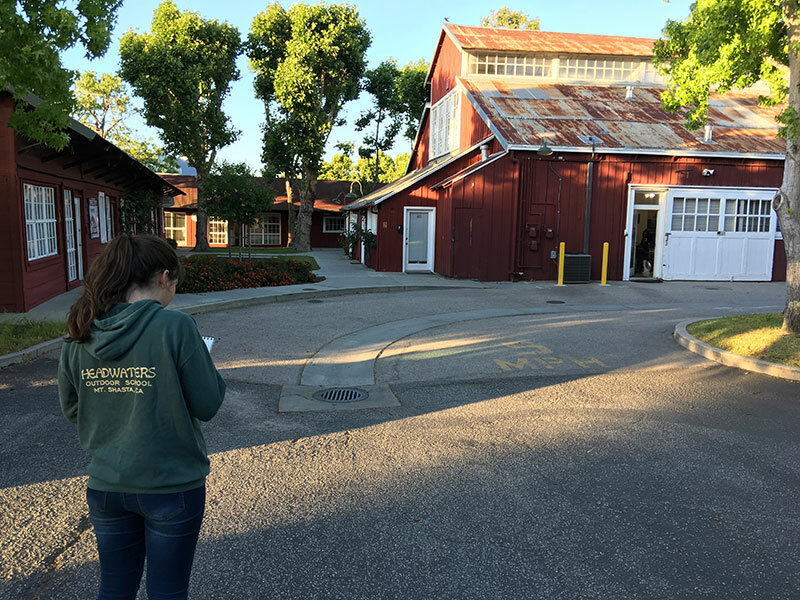 Notice how she emphasized the building in the foreground and used lighter lines and color washes for the trees in the distant background, creating depth in her sketch. Fiona recording observations in her sketchbook. Summer is almost upon us—go out and enjoy drawing the world! 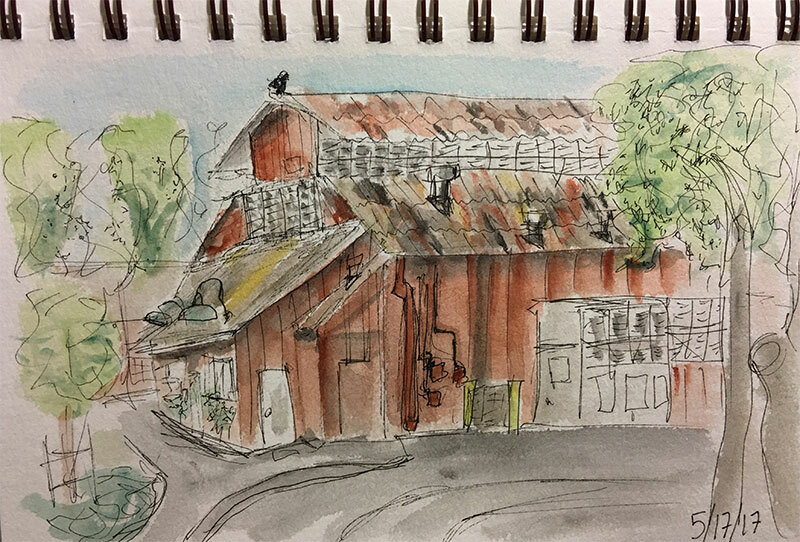 Working directly to ink and watercolor, Fiona unleashed her studio skills in this outdoor observation of an old building. Fluid line work reveals her genuine delight in the process. 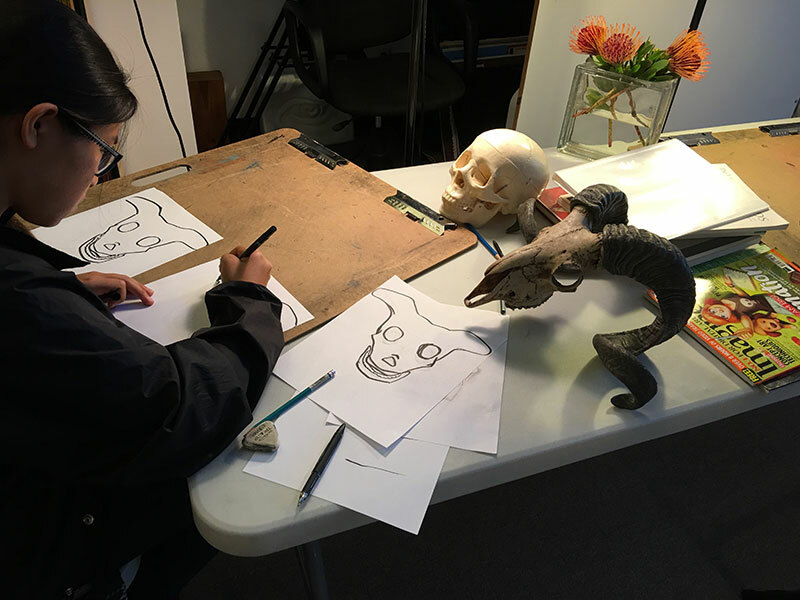 Bob, our resident skull, poses in a composition with a sunflower set up by youth sketcher, Max. 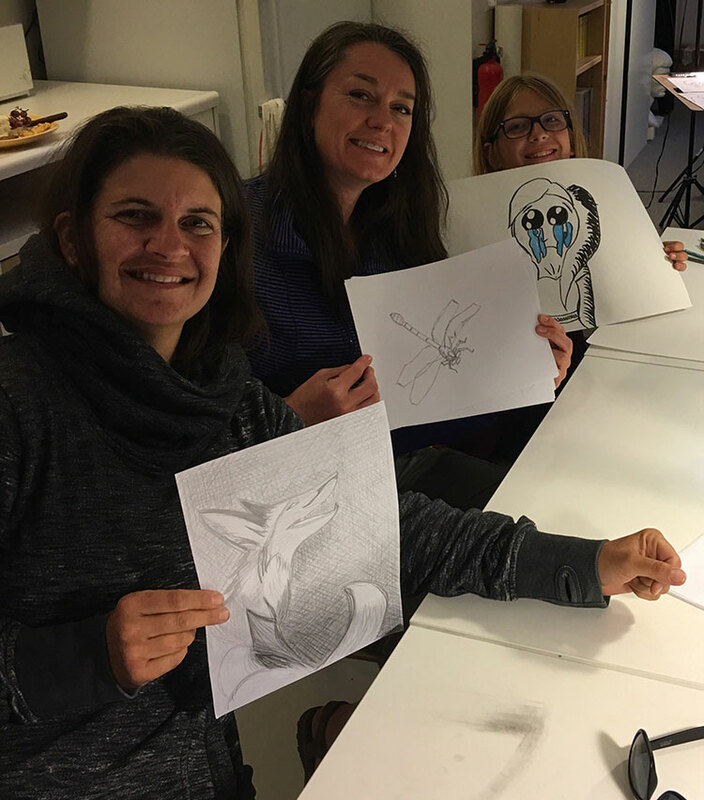 As a Level 3 sketcher, she loves to go for contour line and watercolor studies during our private coaching sessions. Animators do morphs to show how a character or object transforms into something different. 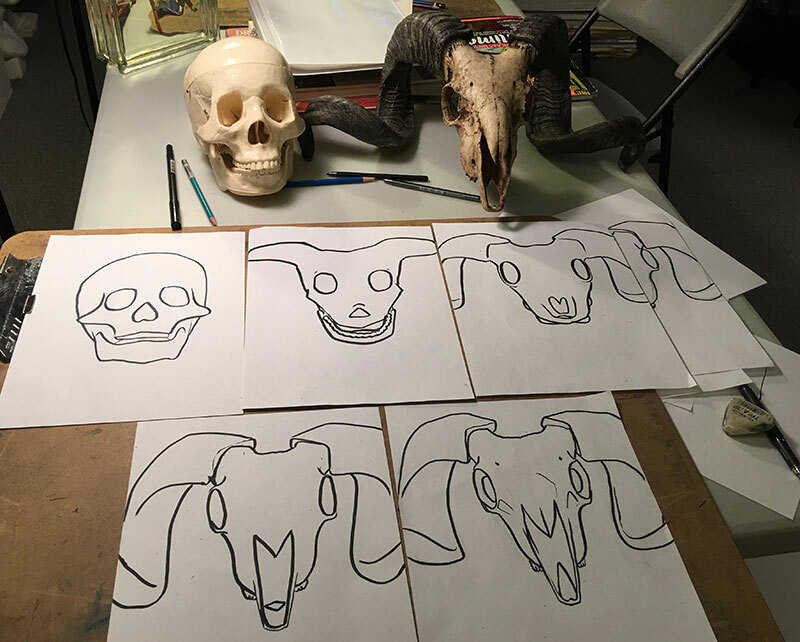 The prompt for this lesson was for Nicole to show a morph transition in 5 steps. Want to try a morph lesson for your next session? Let Rob know. Just another evening of sketchiness with friends. 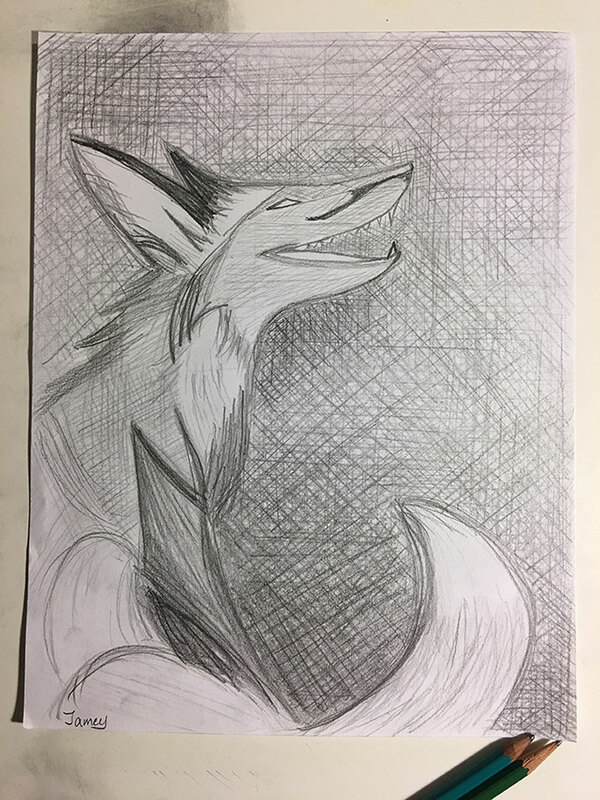 Up close to Jamey’s excellent line work of her Level 2 cross hatching lesson. 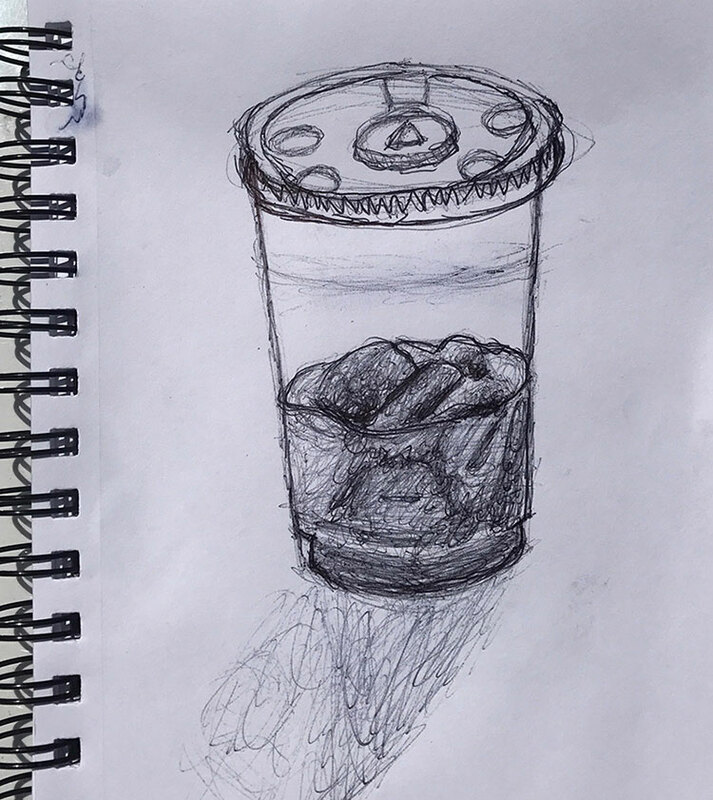 Just as I was preparing this week’s email, Jesse texted me a sketch of a cup of ice tea. 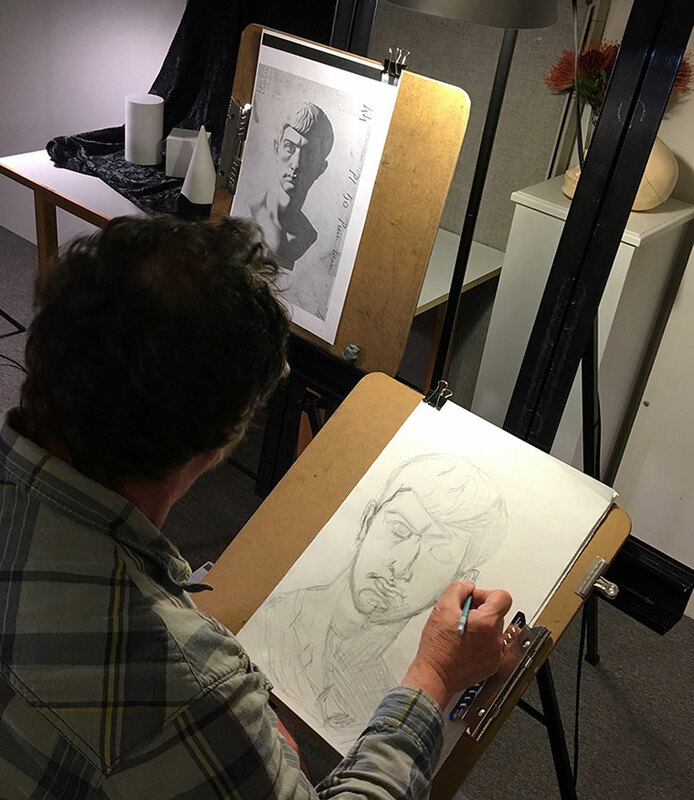 He’s working on textures and values as he explores drawing with a ballpoint pen during our private coaching sessions.